At Missouri Baptist Medical Center we have a long and rich history of delivering exceptional patient care. Not only do we employ a culture where quality meets compassion, we are the destination where nurses come to train and expand their clinical careers. Our dedicated nurses ensure a focus on advancing medicine, technology, treatments and our own field of nursing. In 1895, we opened the Missouri Baptist Nursing Training School. Nursing students worked 10-hour days at the hospital in addition to their studies. During its 105-year tenure, the school graduated 4,300 students. 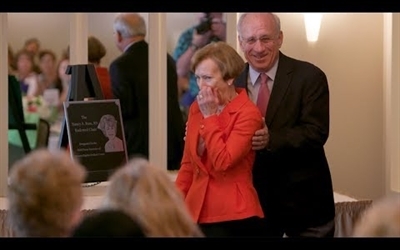 The Barnes-Jewish Goldfarb School of Nursing opened at Missouri Baptist in the new Clinical Learning Institute in 2012. This atmosphere of education and research allows our nurses to continue to explore new beginnings. Leveraging the strengths of our past in combination with a strong nursing vision for the future, the Missouri Baptist nurses reached new heights in professional practice. We elevate the practice of nursing through the development of a professional practice model. It incorporates all aspects of being a nurse in an organization including leadership, governance, recognition and reward, professional relationships, professional development and care delivery. 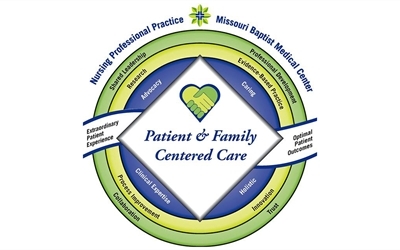 Our Mission – The nursing community at Missouri Baptist strives for optimal patient outcomes through the compassionate application of evidence-based care in collaboration with patients, families, the healthcare team and academic partners. Our Vision – Missouri Baptist will be unparalleled in the practice of professional nursing with empowered nurses who lead the patient experience and provide innovative patient and family-centered care in a dynamic healthcare environment. 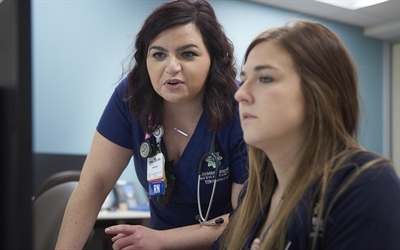 Our Philosophy – As nurses at Missouri Baptist, we are committed to advancing education and leadership at all levels, to advocate for patients and families, to provide exceptional compassionate care through innovations, collaborations, professional accountability, respect, and service excellence. Looking to recognize a nurse for extraordinary care? As part of MoBap's 2017 Nurses Week celebration, the team hosted our annual Nancy A. Ross, RN Excellence in Nursing Awards. MoBap is proud to be the first hospital in St. Louis County to be recognized as a Magnet® hospital, the highest credential a healthcare organization can receive for nursing excellence and quality patient care. At Missouri Baptist Medical Center we believe that by advancing the education and leadership of our nurses, we become stronger advocates for our patients and their families. Our nurses innovate, collaborate and practice in an environment of trust to provide award winning care. 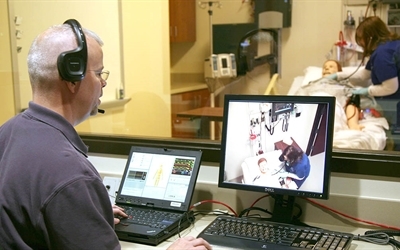 Nurses at Missouri Baptist Medical Center are helping transform health care. Through our Clinical Learning Institute, our nurses train to become some of the most advanced nurses in the industry.